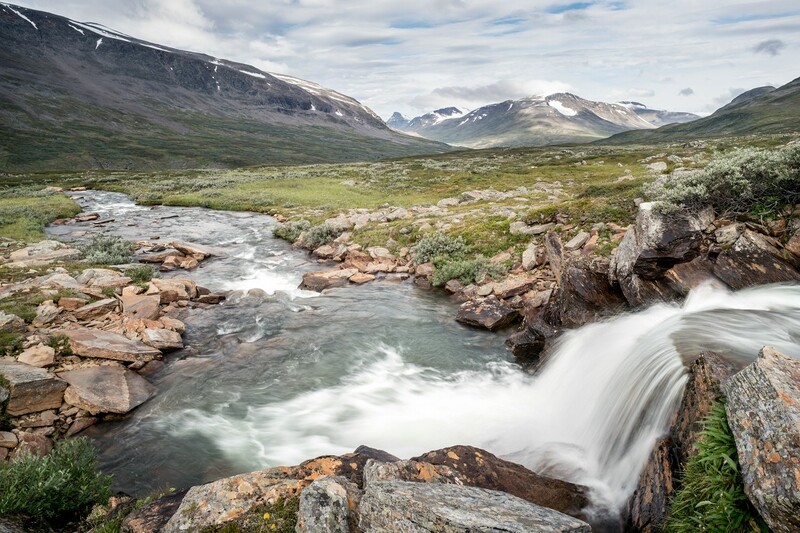 This gallery is dedicated to images from the Sarek national park in Swedish Lapland. 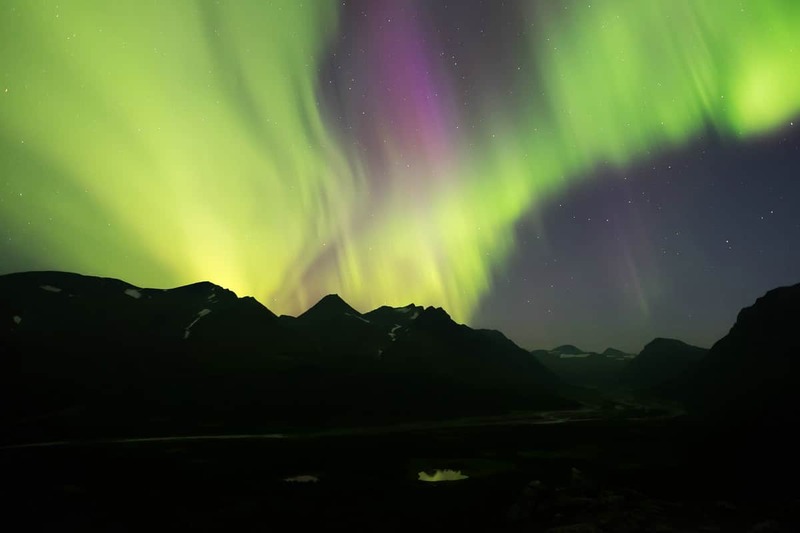 The area is very mountainous, almost untouched by civilization and part of the UNESCO world heritage site Laponia. 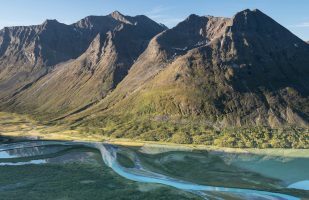 Sarek is only accessible on foot and has no marked trails, accommodations or other man-made infrastructure (except for a single emergency phone and two bridges). 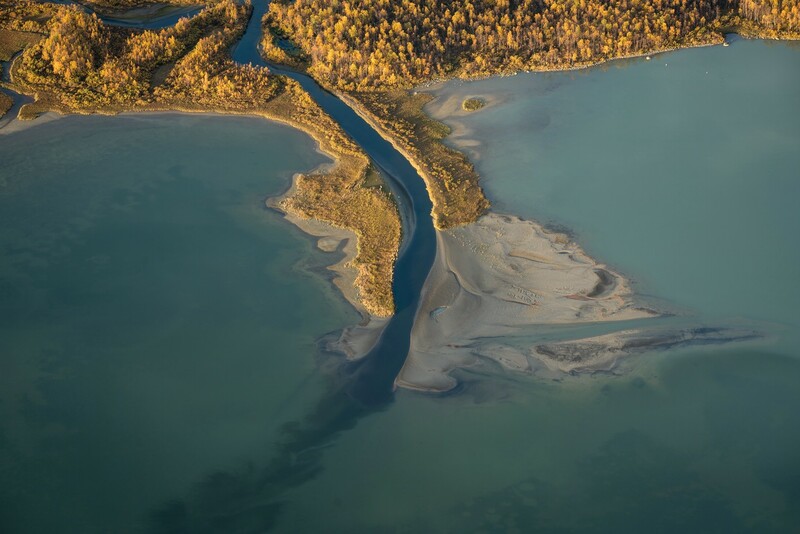 This means you have to carry a large amount of supplies in addition to tent and other gear. So far, I have spent more than six weeks in this beautiful place in three separate trips. 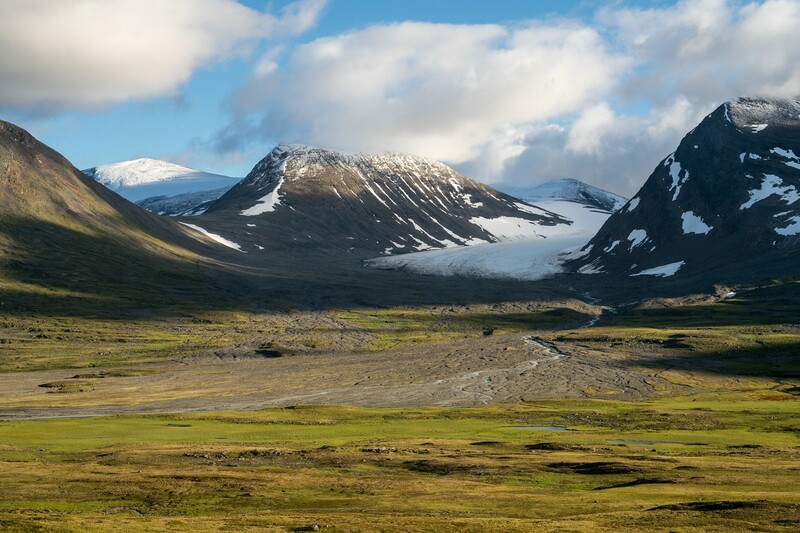 Ruohtesvágge is a mostly grassy valley in north-western Sarek leading to Skárjá, the so-called “center” of Sarek. 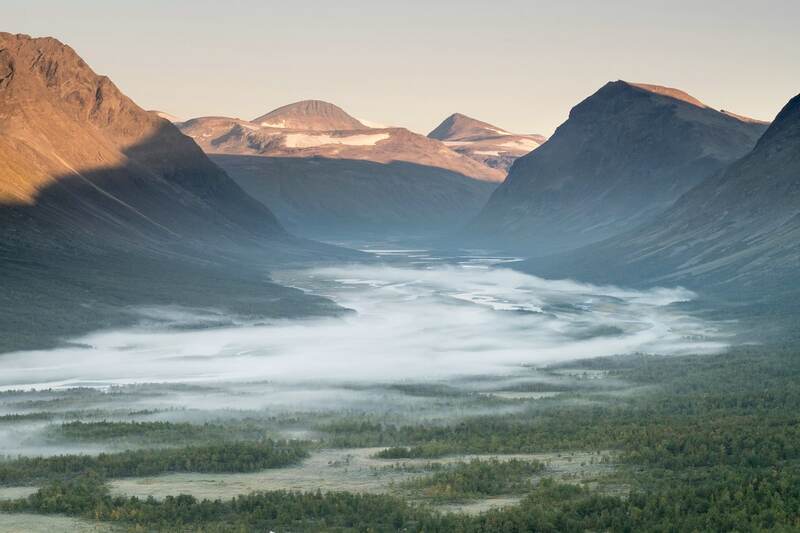 The valley is adjacent to the Sarek mountain range (Sarektjåhkkå) that gave the national park its name. At Skárjá three of the main valleys of Sarek meet. One of those valleys is Álgavágge that one can follow to the west. Another is Rapadalen. 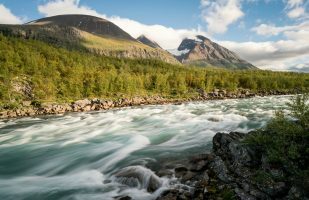 Rapadalen is the largest valley in Sarek. 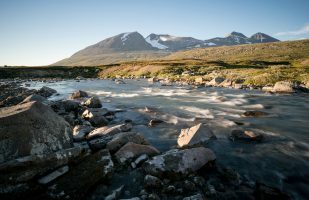 The middle and lower part of Rapadalen is famous for its magnificent river landscape. 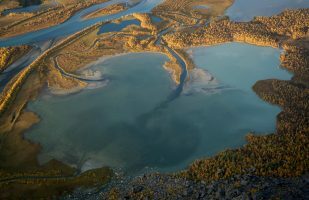 The Ráhpaädno river forms two large delta areas – Rapaselet and the Laitaure delta. 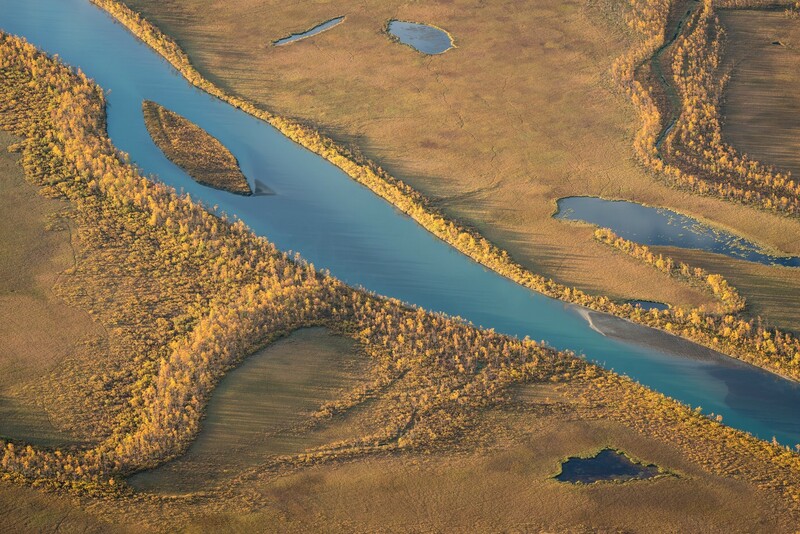 The valley floor is in large parts covered by swamps, birch forests and dense vegetation. The small side valley Snávvávágge and mount Skierffe offer nice views of the river deltas. 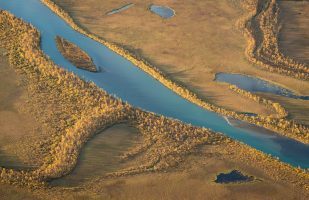 The following gallery features images from two trips: in lush summer colors and in full autumn beauty. 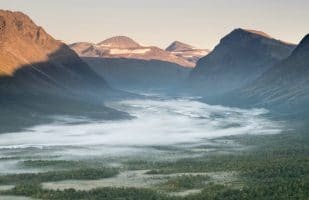 Sarvesvágge is the second-longest valley in Sarek and not traveled very often. 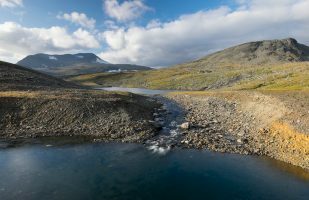 While the upper part is mostly consisting of meadows, the lower part of the valley is covered by brush and birch forest and strenuous to cross. 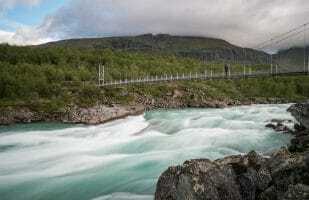 I liked especially the place where Sarvesvágge meets Rapadalen. It is very beautiful seen from above and the valley floor is full of wildlife. Luohttoláhko a high plane in Sarek that features several small lakes and is framed by mountain ranges and the valleys Sarvesvágge and Njoatsosvágge. 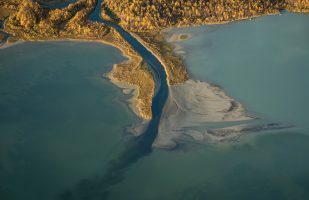 It can be a silent place due to the absence of larger streams. The Pårte mountains are located to the south-east of Luohttoláhko and feature several glaciers. 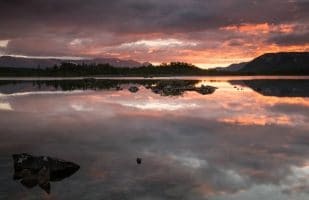 While the upper part of this valley is characterized by alpine conditions and its spectacular V-shape, the lower part less steep and covered by lush vegetation. 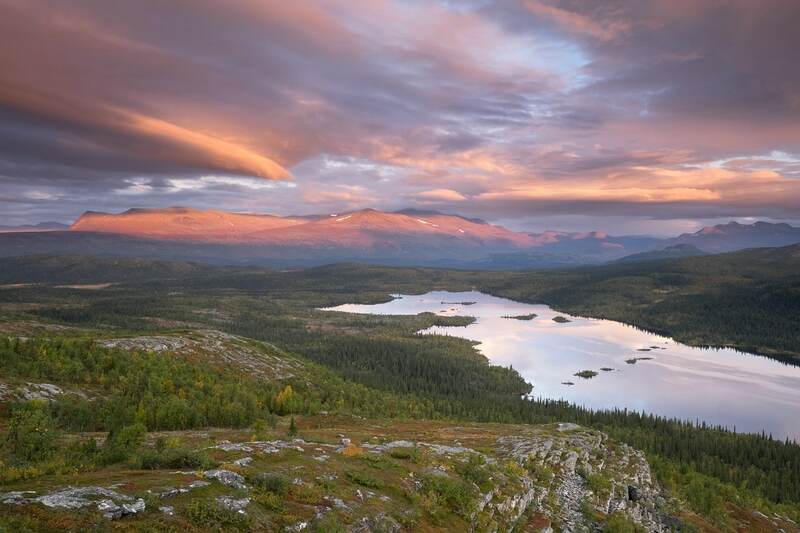 This tall mountain range is part of Stora Sjöfallet national park, directly adjacent to Sarek. 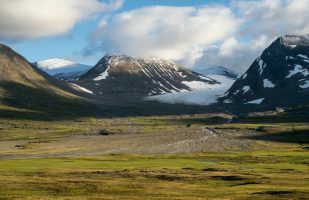 When approaching Sarek from Akkajaure/Ritsem they are an impressive sight. Also the area betweek Kvikkjokk and Sarek is worth visiting as the landscape is not less impressive – however less alpine.